Ensure that your web app or website is compatible with all the versions of Yandex browsers. You can perform real time live interacting testing of your website or webapp starting from Yandex 15.12 to the latest Yandex version available. While performing cross browser testing on Yandex browsers using LambdaTest, you can debug your bug on the go in real time testing on Yandex browsers with tools like Firebug. This can also be done while testing your locally hosted web application across all versions of Yandex browsers. While performing cross browser testing on latest and oldest Yandex browser versions with LambdaTest, you can also mark your bug directly from LambdaTest to any bug management tool like: JIRA, Asana, Trello or move it to Github, Gitlab or also communicate over Slack. You can also test your locally hosted web applications for cross browser compatibility on various Yandex versions. By connecting LambdaTunnel you can make sure that your web app will perform seamlessly on all Yandex versions across all devices and OSes after getting live. You can choose from a range of 1400+ desktop and mobile browsers including Firefox, Safari, Internet Explorer, Edge, Yandex, Opera, and Yandex allowing you to ensure that your customers get pixel perfect experience across all screen sizes, devices, operating systems, browsers, and resolutions. You can test your website for cross browser compatibility across all Yandex browser versions using LambdaTest. 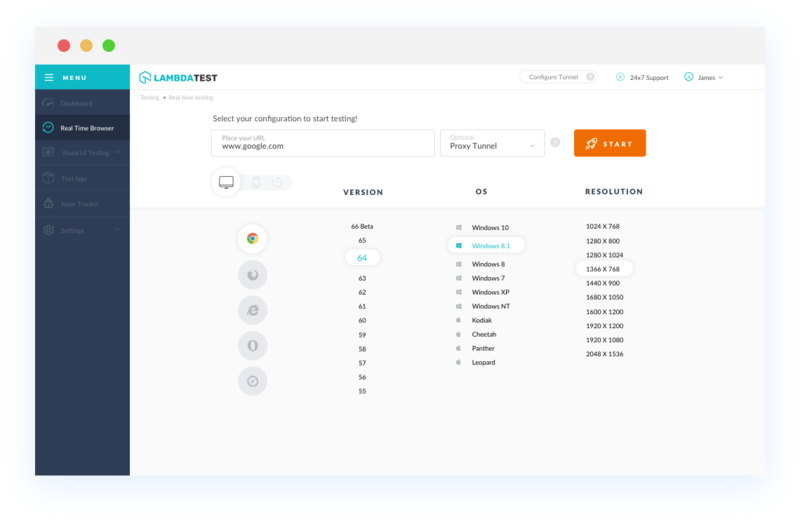 Perform cross browser testing of your website/ webapp across all Firefox browser versions using LambdaTest. eed support for a larger team? We have very flexible plans and if they don’t suffice, leave us a message here, and we would help you out.